Cabin fever is OK, when your home is decorated the way you like it, and you feel like you are enjoying your home to the fullest. 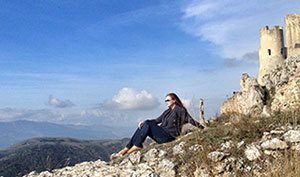 I just arrived home from the Northern Italy, from the mountains close to Turin, where the 2006 Winter Olympics were held, and I will be staying home during the Holidays. We have already started our Christmas decorating at home, with quite different themes this year (see my world travels inspired home office decorated for Christmas). We are living in the largest house we’ve ever had before, so we are in fact putting up 4 Christmas trees this year. Why not? 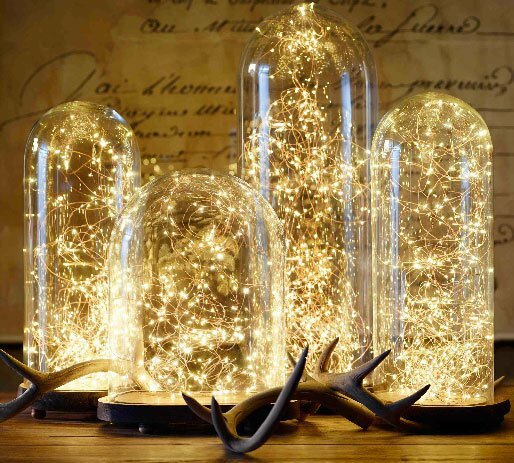 One of the decorating trends this year is natural rustic-look, often combined with glitter and glam to dress it up. 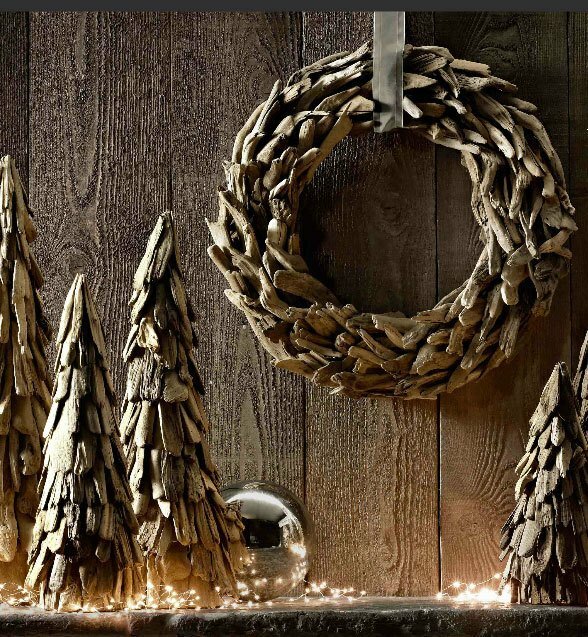 Even burlap is used for Holiday decor, although I think this trend is already a little too overdone, and I would recommend using more natural elements to achieve the rustic ski lodge-look. Bring in pine cones (they are also easy to spray paint), branches, and add moss to planted Holiday flowers. 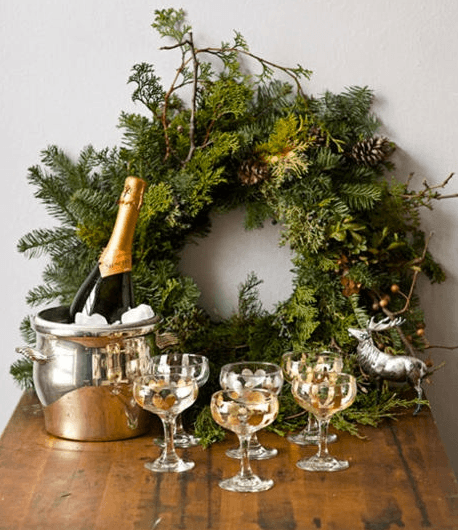 Here is some inspiration from Italian mountains to get you started with the “chalet chic” Holiday decor theme, and of course, a few product recommendations as well. 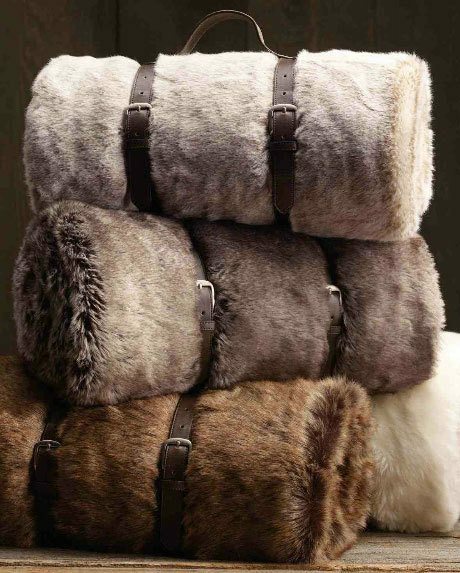 Faux fur blankets from Restoration Hardware. A chalet is a type of building or house, native to the Alpine region in Europe, and the wooden houses were used by animal herders on the mountains. They also used to be called hut of a herder. Nowadays the word “chalet” is used for general vacation homes, mainly in ski resorts, but in other tourist destinations as well. The chalet decorating style is typically rustic glam that combine the natural surroundings and rustic feel with the luxuries of today. To me a chalet life means that you can ski in and out. 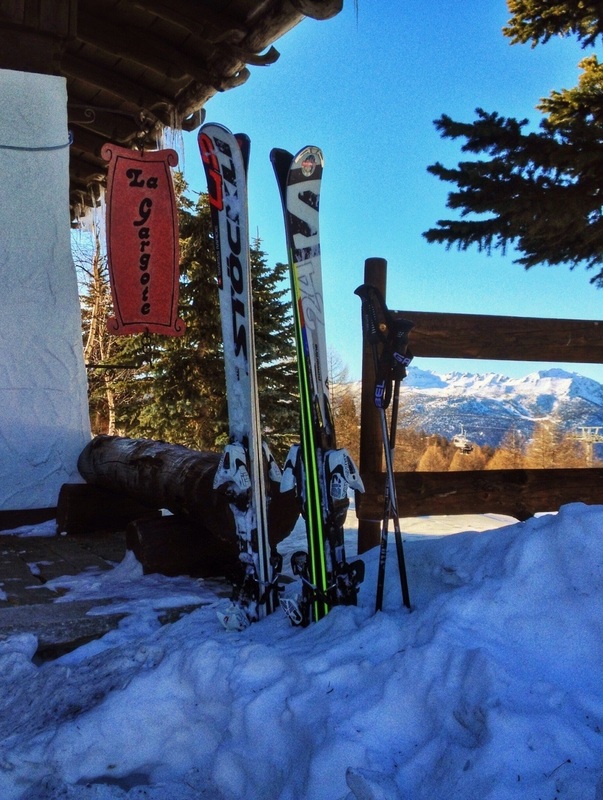 Think of leaving your skis waiting for you in the snow by the door. 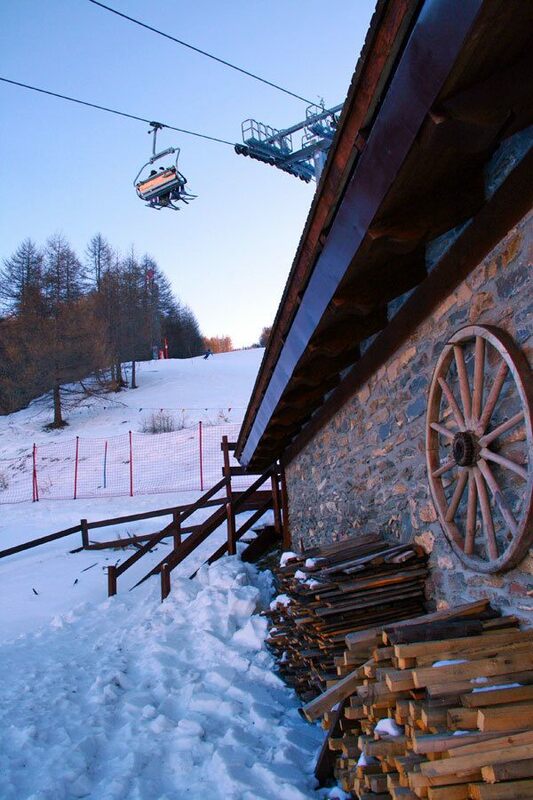 These pictures are from Providence of Turin, in the Piedmont region from Sestriere and Bardonechhia ski resorts. Since the chalets were originally huts of herders who took care of the animals in the mountains, they also hunted for wild game. Alps are great places for wildlife, like for red deer. 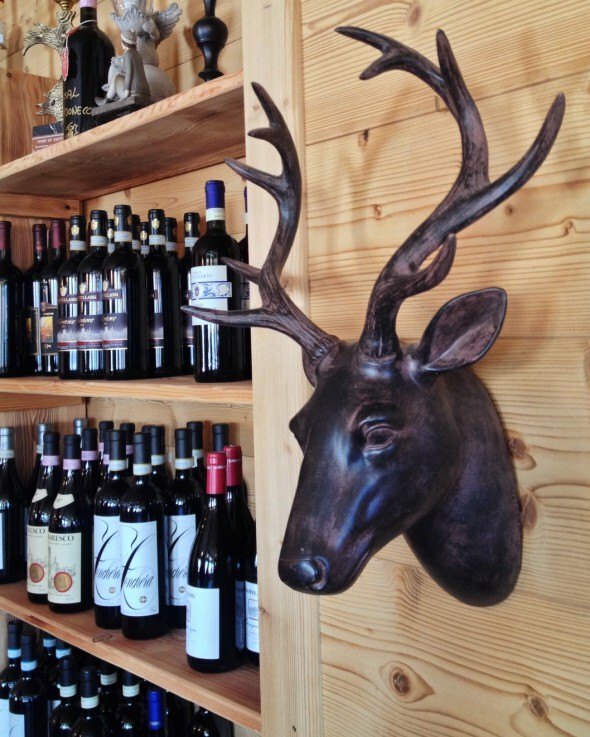 Red deer also plays an important part in decorating in chalet style. 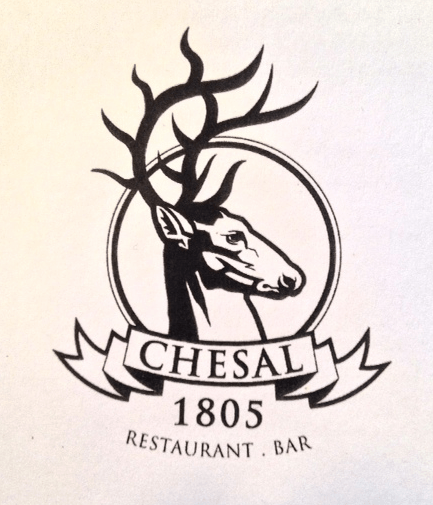 Here is a chalet restaurant logo from Bardonecchia, Italy with the picture of a deer. Inside the chalet you could find several deer heads as decorations. My favorite was this one, right by the wall of wine. 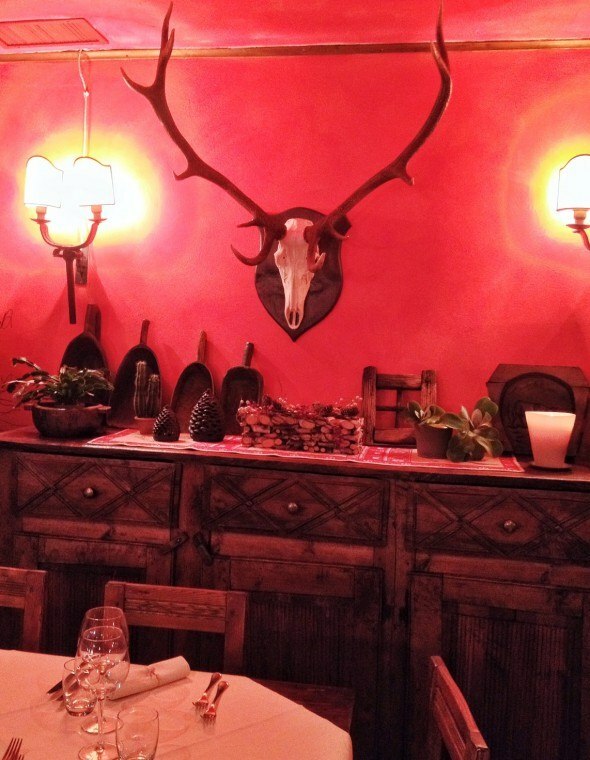 Deer skulls are also quite popular when it comes to chalet decorating. If the real skulls are too much for you, you can find so many decorative deer heads, skulls and antlers from the stores nowadays. I saw this deer skull in a restaurant in Sestriere. Of course you can bring nature in other ways as well. Think of tree branches, pine cones, rocks, and add some wintery green taking a few branches off your (real) Christmas tree, and you are all set. 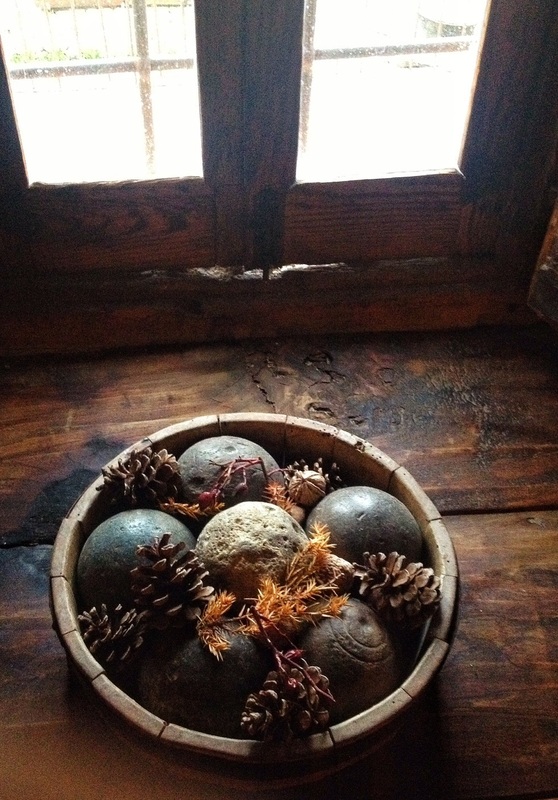 I saw these rocks and pine cones in a chalet in Abruzzo area mountains in Italy. 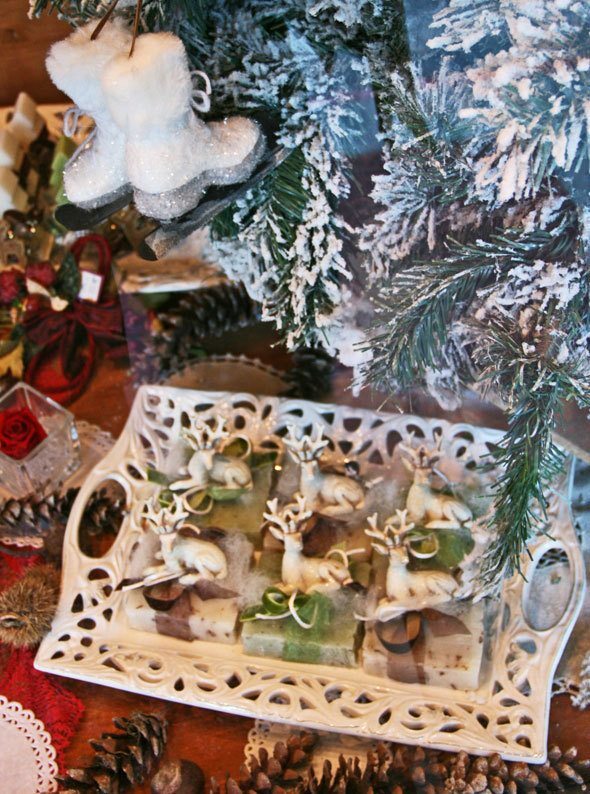 What a nice way to start decorating: taking a walk in the forest collecting the goodies. 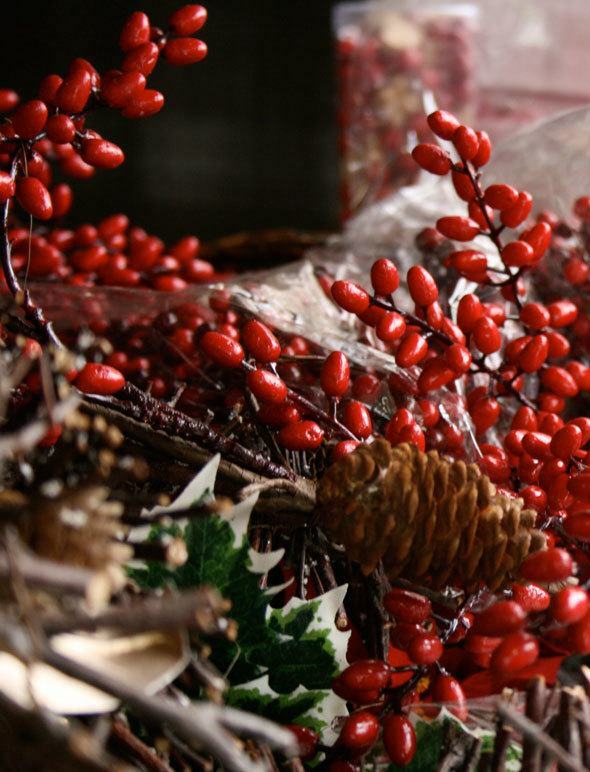 Craft stores are full of fake branches, berries and you can also find the pine cones from the craft stores. If you are not the outdoorsy-type, it’s quite OK to skip the forest walk and fake the look. Think of a chalet where you retire after a day of skiing, in the front of a fire and sit in a big leather couch and have a cup of hot cocoa. If you don’t have a fireplace, no problem. Fake the feeling with lots of candles and rustic lanterns. This leather couch was found at Grand Hotel Sestriere in the providence of Turin in Italy. You can easily get the chalet-feeling by keeping your pantry stocked with hot cocoa this Holiday season. Below is a store window in Bardonecchia and it pretty much sums up the chalet decorating style: natural elements like pine cones, feeling of snow & skiing mixed with a little glitter and glam. 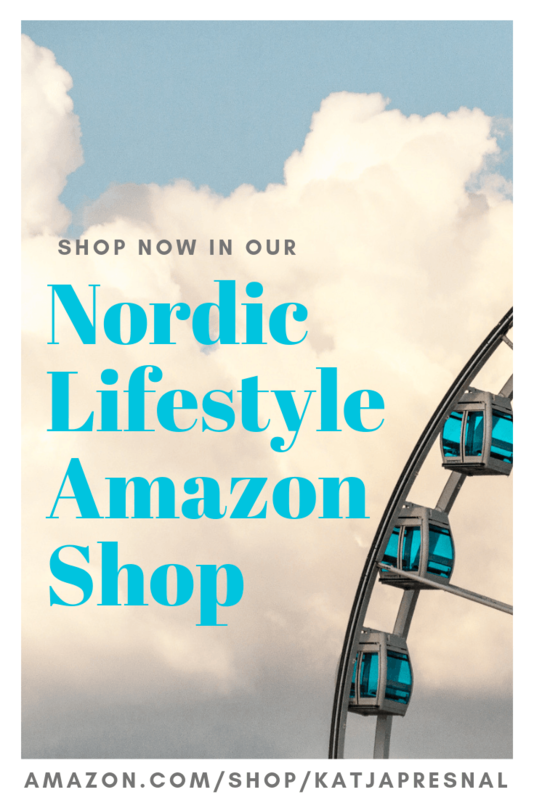 The real chalets are decorated with the collection of heirloom quality home ware, and furniture to last for decades, and with seasonal items found from the nature. 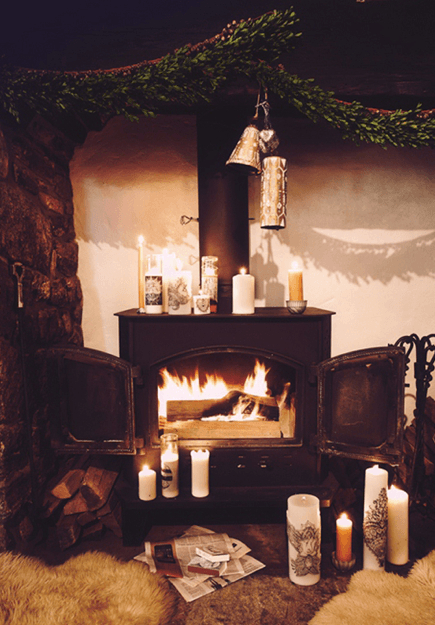 Candles and fireplace add ambiance but are also essential for warmth. The vintage skis on the wall look great, but better are the stories that can be told about the adventures taken with the skis. 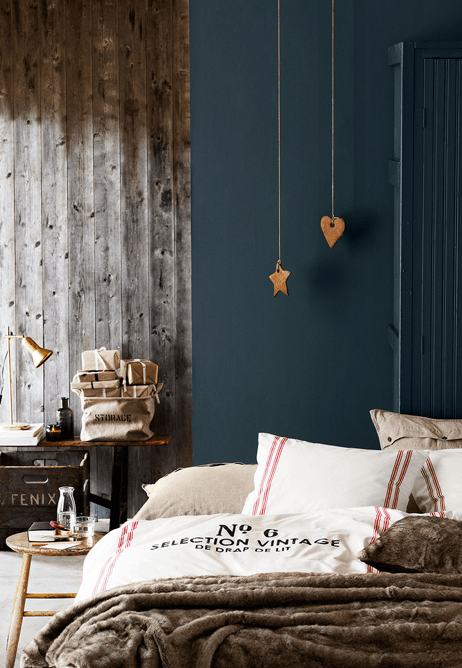 Several companies are embracing this rustic log cabin and chalet chic decorating theme, and you can find products to complete the look from many home decorating stores. I spotted several great products from Restoration Hardware’s catalog, including the antlers and faux fur products above, and these drift wood Christmas trees. Or by all means, bring out the glue gun, and do the drift wood tree yourself. Hot chocolate isn’t the only drink for chalet life. A well-equipped chalet holds liquor enough to survive a snow storm or three. Whatever your “poison” to keep you merry this season, don’t forget to stock up. 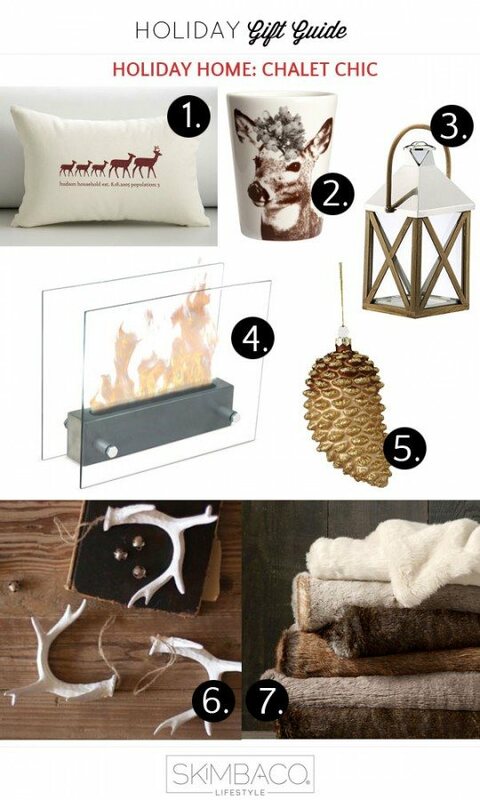 H&M Home offers plenty of very inexpensive options this year to get a little cabin look going for your home. Photos below are from H&M. 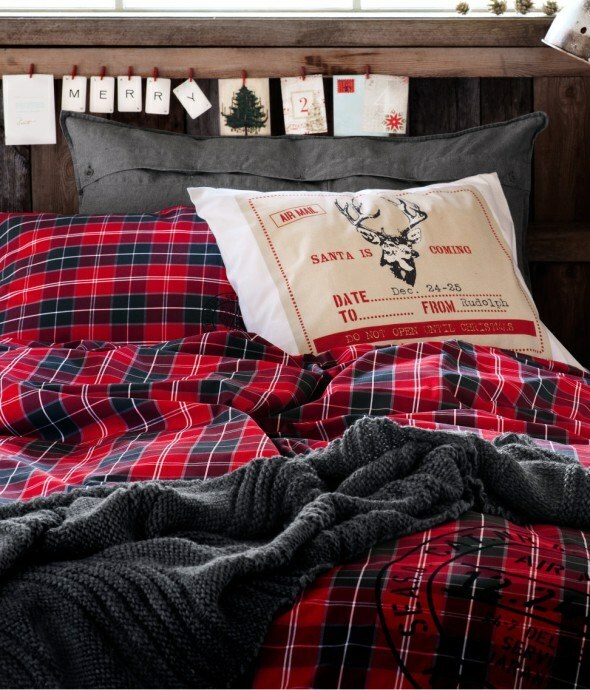 They mix nicely the chalet chic with checkers and tartan, they also go really well with the ski lodge theme. 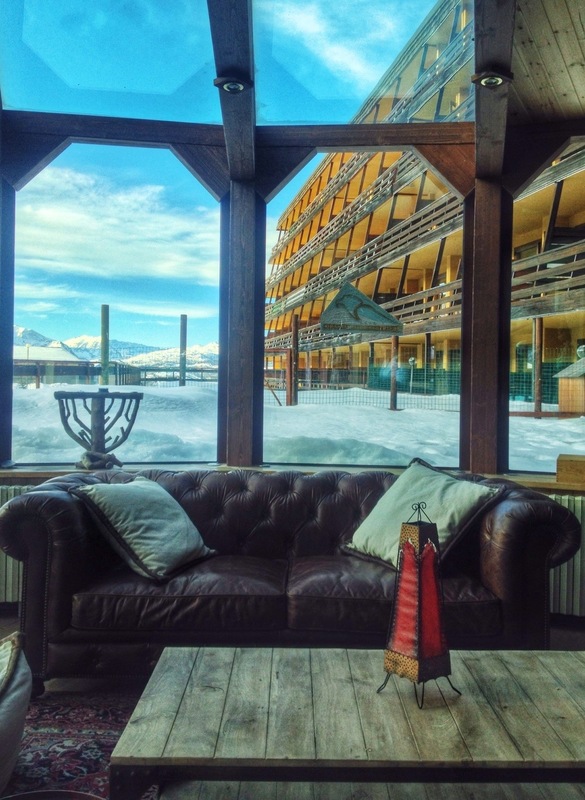 Above all, chalet chic style is all about being comfortable and enjoying the moment, keeping warm during winter and adding a little bit of luxury to your day. 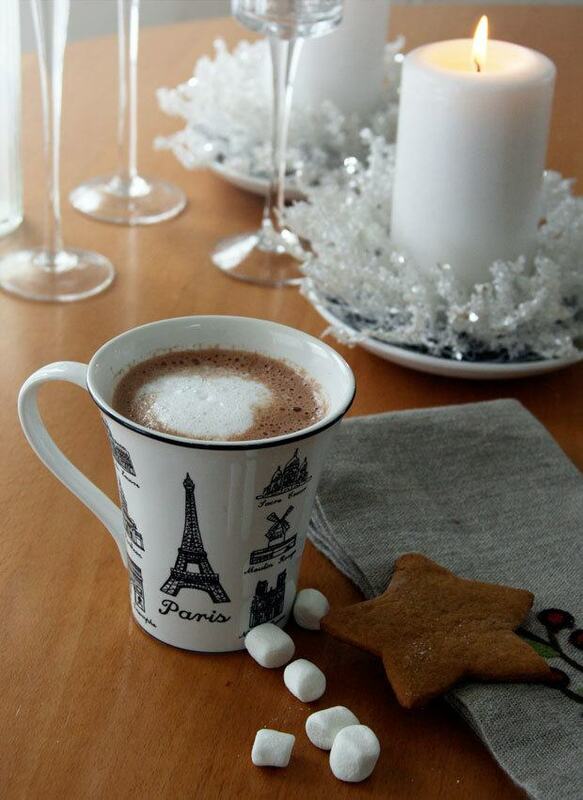 It’s OK if the luxury comes as a form of cheese and sparkling wine or hot cocoa made from European chocolate. 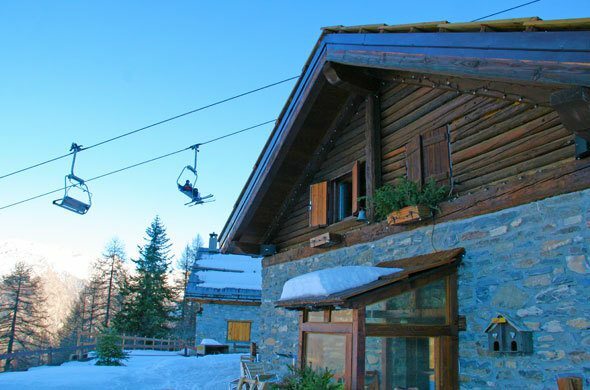 Enjoy the season, in a ski chalet or your own equivalent of it! Katja, I love this look for my home. Hi there! Love the site! We are building a cottage/retirment home in the Northwoods of Wisconsin and love this style! 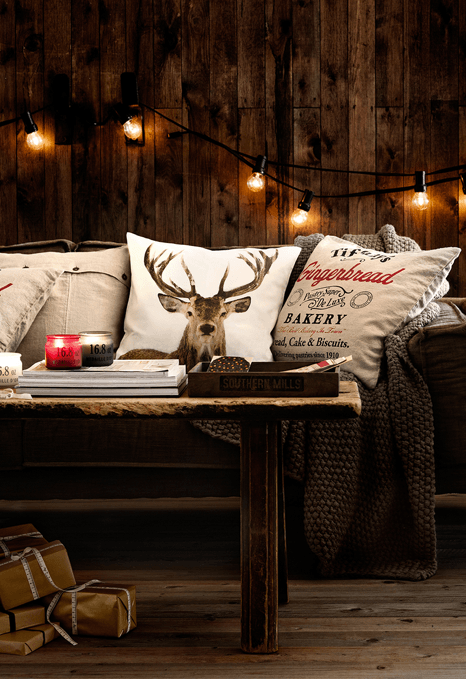 Do you know where the pillow with the buck and Gingerbread pillow could be purchased from? It was from H&M home! 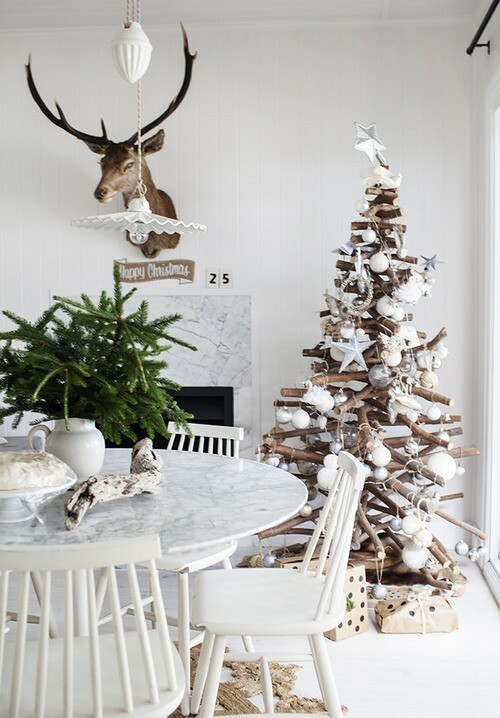 This is dreamy chalet chic style, indeed! Swooning on that lantern AND Italy! It’s definitely on my bucket list!